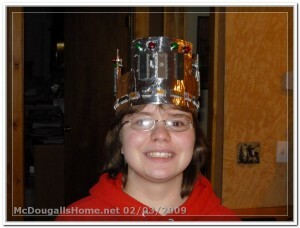 Katie got a part in her school drama class play as the “Supreme Technocrat”. 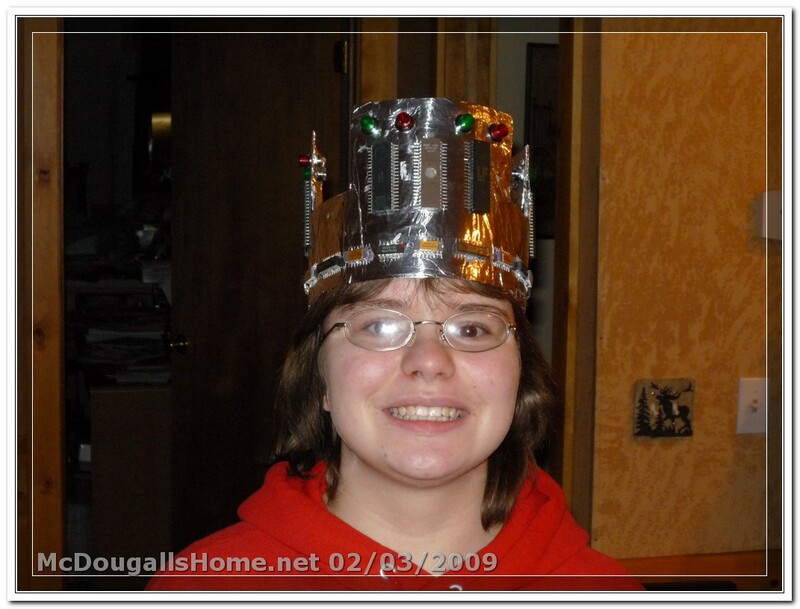 As part of her costume, she has to have a crown appropriate to the title. 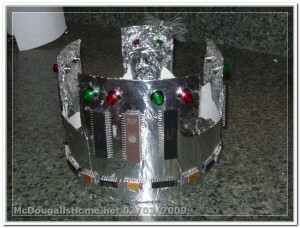 Being a life long nerd, I decided she needed something more than the standard crown, she needed a Technocrat’s crown. 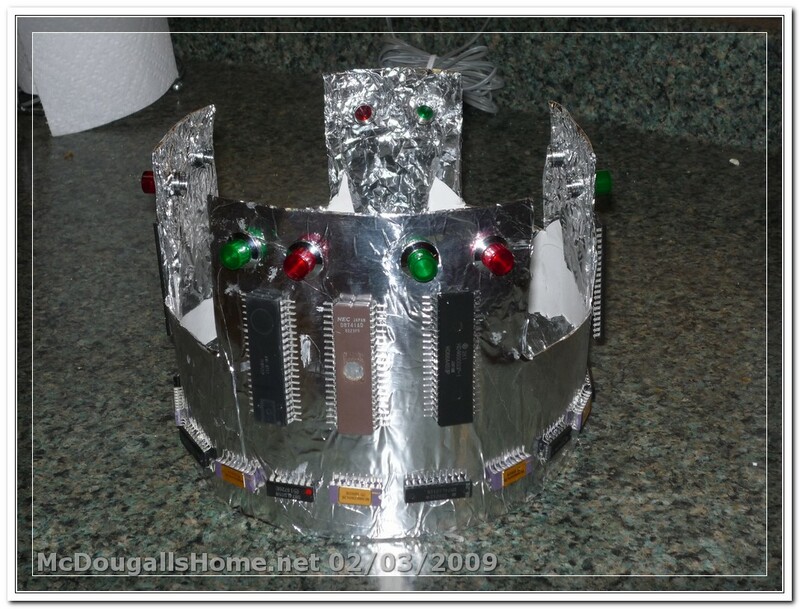 We rounded up a bunch of old Integrated Circuits and made a grand crown for the purpose. Katie will make a “Fine” Supreme Technocrat.